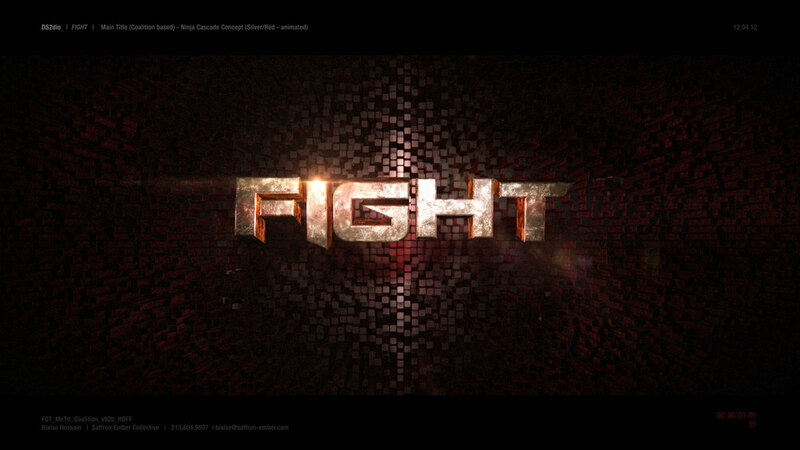 Fight - Show open main title concept. 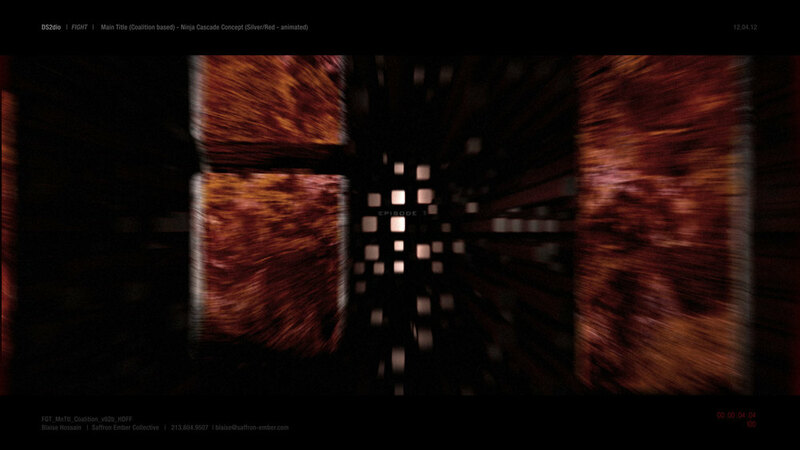 Conceived, designed & animated by Saffron Ember (blaise & kyle hossain) for DS2dio. 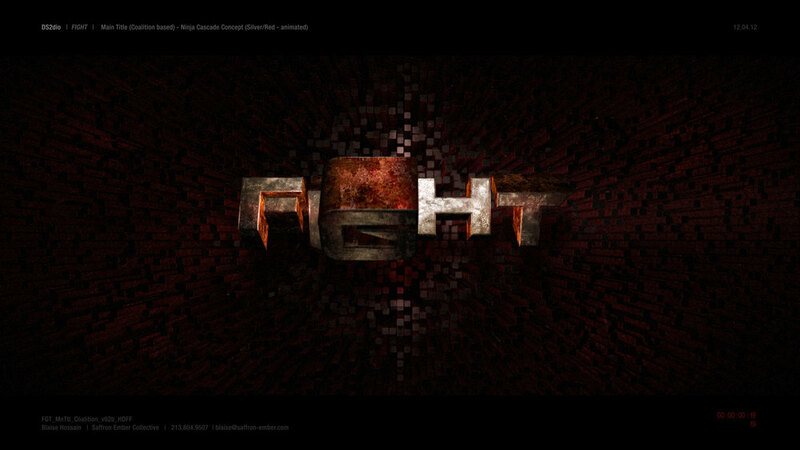 Still frames from the Fights show open main title concept.